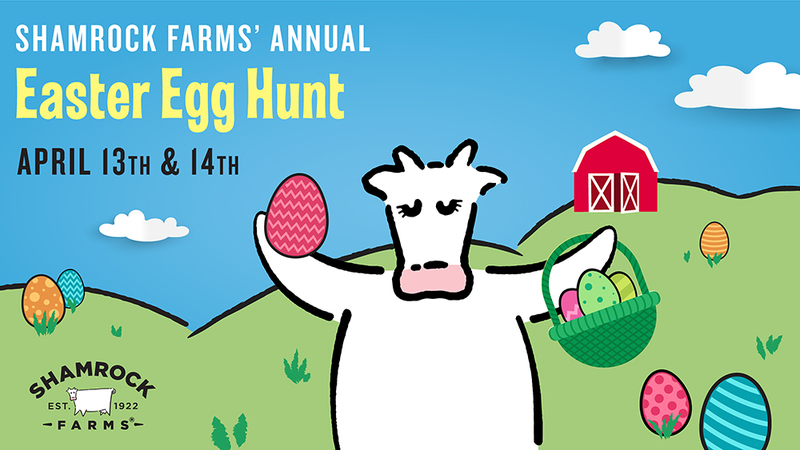 Hop on down to the farm this spring for Roxie’s Easter Egg Hunt on April 13-14 at Shamrock Farms. Fun for the whole family, activities include a one-hour guided tour, a special Easter egg hunt, visits with Roxie and the Easter Bunny, face painting, balloon artistry and an Easter bunny craft. Shamrock Farms will be transforming Roxie’s Outdoor Adventure – a guided tour stop that features a 20-foot milk bottle to climb – into a fun Easter egg hunt where all children will have the chance to fill their baskets. In addition to the “egg-stra” special activities in the Welcome Barn, families will have fun taking the fun and educational Farm Tour. Visitors can get up close and personal with 10,000 cows and learn about how pure, fresh milk gets from the farm to table as well as take a visit to the milking barn that accommodates 1,600 cows (milking 200 at a time), the cow cafeteria, a calf nursery and much more. Reservations and pre-payment are required. Tickets are $10 for children and adults and include all activities. Children under 2 get in free. Hot dogs, pretzels and ice cream treats are available for an additional cost.